There’s a great scene in the classic Andy Griffith Show where Andy asks his deputy if he knows how to sing a cappella. Barney says that of course he does, and proceeds to warble out some meandering musical phrases to the words “a cappella, a cappella”, then says he forgets how the rest of that song goes…. We can laugh along with this since, as musicians, we know that the term a cappella refers to a vocal piece performed without instruments. Since the word a cappella comes from the Italian “in chapel style”, it’s not surprising that it’s probably most commonly heard in performance via church choirs. Spice, and an air of daring difference, can be added to your recorded catalog by including an a cappella performance or two. With all the electronic sounds available now, using voices only in a recording can’t help but make that recording stand out from the crowd. Perhaps you have a song about innocence or sincerity. Voices without accompaniment often suggest a certain candidness or air of innocence. Recording a song a cappella presents its own special challenges. Perhaps the most obvious one relates to pitch. How do you keep a voice or voices, without accompaniment, in tune and in key? I often perform in churches and I’m sometimes asked to play my flute alone as an interlude in an otherwise a cappella choir piece. I always cringe at this request, because I know that chances are the choir will slowly go flat during their performance, making the flute sound out of tune when my turn comes around. You may well ask, “So what if the vocalists go slowly flat or sharp during a recording with no instruments? As long as they stay in tune with each other only those with perfect pitch will ever notice.” That may be true, but if the change in pitch is large, many people will notice that something seems wrong. Also, consider that a vocalist has a finite range. If a vocal group slowly goes progressively flat over the course of a piece, by the time they get to the end, it could very well be that the basses won’t be able to hit that last low note. It’ll be out of their range. All of the vocalists may slip out of their vocal range. One way to keep vocalists on key when making an unaccompanied recording is to have some soft simple accompaniment playing in their headphones. For example, if you are recording a group singing 4-part harmony, just pipe in the 4 parts played on a keyboard. 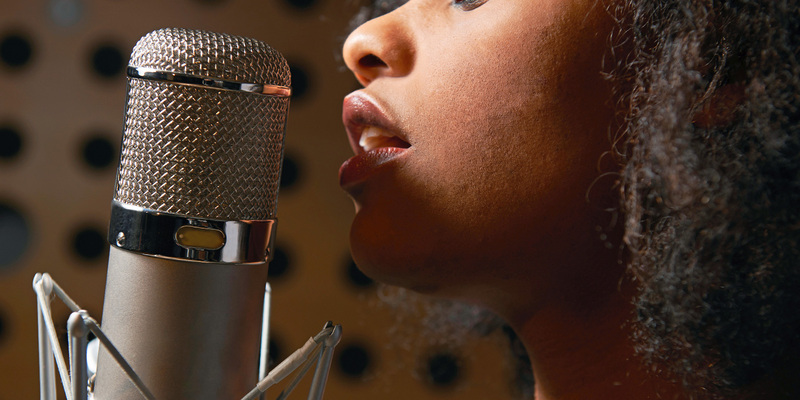 Another method that works well is to record one or two phrases of a vocal performance at a time. Play the phrase or phrases on an instrument to check pitch, hit Record and sing, then stop and do the same for the next section. Still another way to help a cappella vocalists stay in key and in tune is to record with no reverb or any other effects. Variances in pitch tend to become obscured when using reverb. You may think you are singing in tune with another vocal part, but realize on playback that you weren’t. 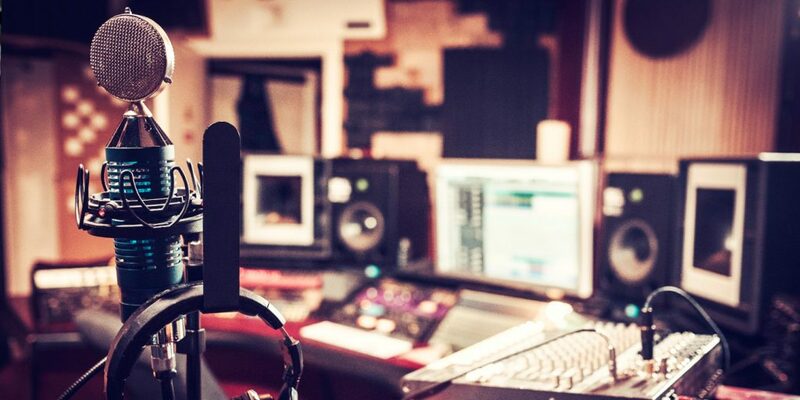 If you are recording yourself a cappella, your approach will depend on whether your recording will consist of only one track or a series of overdubs. 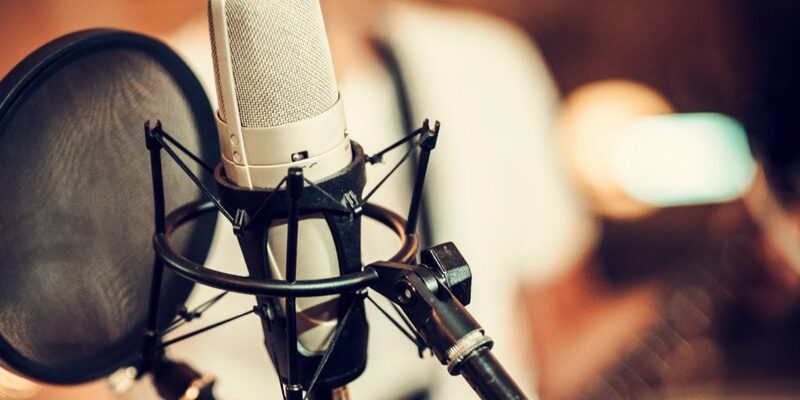 If you are only recording one track of a single voice you likely want to play up the simplicity and intimacy of that type of recording. 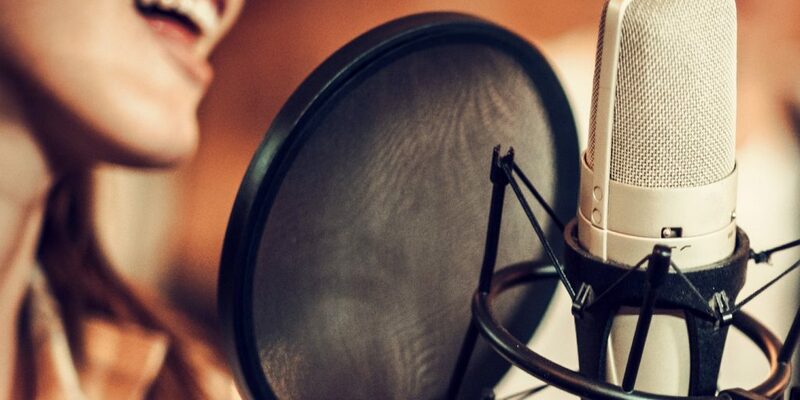 Use a small room, and utilize the proximity effect of your microphone to create an intimate atmosphere. If you are recording many overdubs, you probably want a “larger” sound to your recording. Start by placing the microphone about 3 feet in front of you and a foot or two above your head to pick up more of the room sound. When recording a vocal group, a choir for instance, try using just a couple of overhead mics. Let the voices form a natural blend. Another approach is to record one section of the choir at a time, that is, start by recording the basses first, then tenors, etc. This will give you greater flexibility in the mixing process. However this may be more difficult for an amateur choir than having them all sing together, as they are used to doing. When recording a cappella at home, try the bathroom. This room can work especially well if there are tiled surfaces. The example web clip for this article was recorded in a bathroom with a tile floor and a high ceiling. The microphone was placed in front of the tub enclosure for added natural reverb. A kitchen with tiles can also provide a nice vocal blend, as can a hallway, an open stairwell or a (mostly) empty basement. If you can record on location, try a church. Be careful in a church, though, as it’s possible there may be too much of an open sound in a large sanctuary. You are usually trying for a sound that is open and full, but at the same time contained. If you are doing overdubs and the tune is in a specific tempo, use a click up front (as you normally would) so you know when to come in. My recording was very free with respect to tempo, so I used the breath intake on the previous tracks to get an idea of when to enter for the overdubs. Use some amount of reverb to supplement the natural reverb from your location. The amount you use depends on the effect you are trying to achieve. I was trying to slightly enlarge the space I recorded in. (I didn’t necessarily want people to think “bathroom” while listening.) Using the natural reverb from the tile combined with the electronic reverb gave me the open yet contained sound I was looking for. 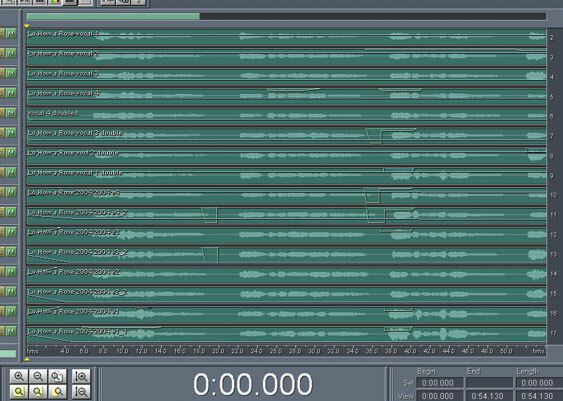 Too much reverb, however, can turn a nice vocal blend into mush. Be careful with compression in an a cappella recording, especially a classical recording. I used no compression on my recording at all. I found that even the smallest amount adversely affected the timbre of the voices. Instead I tamed some of the variances in volume simply through judicious use of the volume envelopes. Try adding an a cappella piece to your recorded catalog. You’ll find that people are often attracted to that piece for its simplicity and innocence.